On December 30th Masayuki Ito (24-1-1, 12KOs) will make his first defense of the WBO Jr. Lightweight title as he goes up against unbeaten Russian Evgeny Chuprakov (20-0, 10KOs) in a mandatory title defense. 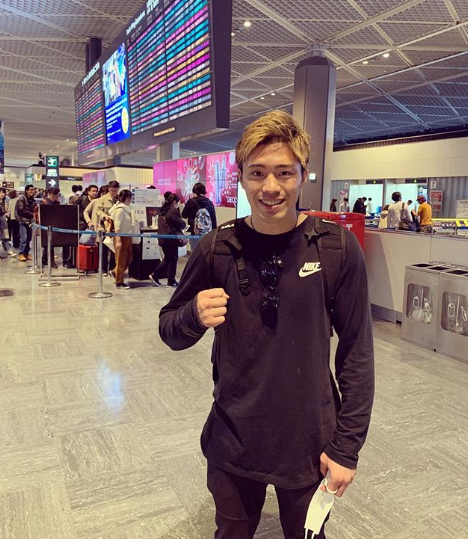 Today, ahead of that bout, he left Japan to take part in a training camp in Los Angeles, where he will be for the next 5 weeks or so. Before boarding his plan he spoke to the Japanese media. The plan for Ito is to spar with a number of US based fighters, including Fabian Maidana and Manny Robles, and he also suggest potentially sparring with Mikey Garcia, who is expected to be in the region training himself. Interestingly Ito revealed that he was aware of the conditions in Los Angeles right now, including the fires going on, and knows that he needs to do everything he can to prevent getting ill or injured whilst over there. It should be noted that Ito also spoke to fans on Saturday, when he took to the ring at the Dangan card. There he spoke about his bout on December 30th and told fans that his plan for next year is to fight a big name opponent in the US.